Raj is an aerospace veteran with more than 20 years of experience serving top-tier suppliers in a multitude of capacities. His cross-functional experience spans engineering, contracts and product marketing, and includes individual contributor roles as well as executive roles in sales and marketing, business development and general management. 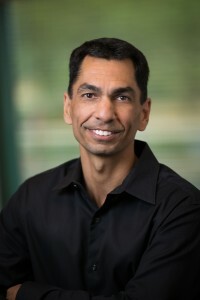 Raj joined Performance in 2003 to lead the sales department, In just nine years, the company’s revenue grew from $5 million to $25 million. He then transitioned to general manager and is currently CEO. His diverse and extensive background gives him an invaluable perspective that allows him to drive the organization, its leadership and strategy to give clients the best from Performance. He holds a Bachelor of Science in Electrical Engineering degree from the University of Waterloo and a Master of Business Administration degree from Arizona State University. Raj is an avid (some would say obsessive) fitness enthusiast, and has managed to find gyms in all the locations he has flown to on business travel.